Dr. S.K.Illangarathne is the member of International Cooperation Committee of International Engineering and Technology Institute (IETI), Hong Kong (http://www.ieti.net/ICC.html), and Senior Assistant Librarian of Main Library, Rajarata University of Sri Lanka. He received Ph.D. in Management Sciences and Engineering in the field of Information Management and Information System from School of Management, Wuhan University of Technology, P.R.China in 2017. His Ph.D. Research topic was “Research on Multi-Criteria Evaluation System for University Library’s Performance in Sri Lanka”. Further to that, he has obtained his Master degree in Library and Information Management from Dept. of Library and Information Management, University of Kelaniya, Sri Lanka in 2010. He has 17 years professional experiences in Library and Information Management at Public and University library sector as a Gr. II Librarian and Senior Assistant Librarian in Sri Lanka. He was appointed as the Academic Coordinator of DLIM program which proposed to start at Rajarata University of Sri Lanka in 2013. His research interests include Information needs and seeking behaviors, Library customer satisfaction, Digital Information Management, Library Performance Evaluation, Library Ranking Systems, Virtual Libraries and Digital Archiving. He has published over 12 articles in conferences and journals, including International Conference on Innovation and Management (CPCI), International Journal of Engineering Works, Journal of Data Analysis and Information and so on. He has attended several local and international workshops including Information Technology training program which conducted by National Institute of Science Communication and Information Resources (NISCAIR) in New Delhi, India, PURNA workshop on Cataloguing and Indexing organized by PURNA Information Services in 2006, Regional Workshop on Creating a Digital Library Using WinISIS in 2007 organized by UNESCO and Sri Lanka Library Association at Colombo, Sri Lanka and Residential Workshop on Administration and Maintenance of Hardware/Software systems in Open Source Environment in 2007 organized by University Librarians Association (ULA) of Sri Lanka and so on. 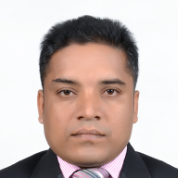 Also, Dr. Illangarathne is the Associate Editor of International Journal of Innovative Research in Library & Information Management – IJIRLIM which published by IETI, Hong Kong. If you are interested to publish your research papers on IJIRLIM, please send your papers to him via sleditor@ieti.net or skillangarathne@gmail.com.